Posted on 23/09/2015 by Ed Sutton	in Hearth & Home, Letters Of Fire, Police & Prisons and tagged Iran, People and Nature, Political Prisoners, Shahrokh Zamani. 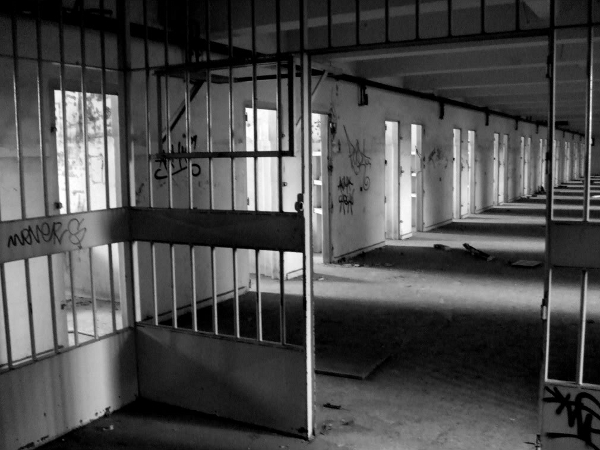 Posted on 18/06/2015 by Laurent Moeri	in Conversations, Earth & Sky, Police & Prisons and tagged Anarchism, Deutsch, Marco Camenisch, Political Prisoners. Der militante anarchistische Umweltschützer ist seit 24 Jahren ununterbrochen in Haft, ohne Urlaub oder bedingte Freiheit. Gerechtigkeit oder Rache des Staates? Posted on 26/01/2015 by Ed Sutton	in Conversations, Police & Prisons, Streets & Squares and tagged Antifaschistisches Infoblatt, Bulgaria, Jock Palfreeman, No Pasarán!, Political Prisoners. AntiNote: This interview originally appeared in German in issue #104 of the Antifaschistisches Infoblatt (AIB) and was posted online in December 2014. It bears mentioning that since the interview was initially conducted in English, it has now been translated and re-translated. Apart from any fantastic coincidences, these are not the exact words of Jock Palfreeman. His spirit and intention, however, are intact. In 2007, Jock Palfreeman, then 21, traveled from his home in Australia to Bulgaria on vacation. On 28 December, he was witness to a racist hate crime in Sofia: a group of rightwing hooligans attacking a Roma person. Jock did what (unfortunately) few would. He intervened. In the ensuing altercation, one of the attackers—Andrej Monov, son of a high-ranking government official and former police officer—was fatally stabbed. Ever since, Jock has been sitting in Bulgarian prison—including stints in solitary—sentenced to 20 years for murder. He is currently appealing his sentence and fighting for extradition to Australia. Posted on 09/08/2014 by Ed Sutton	in Letters Of Fire, Police & Prisons, Streets & Squares and tagged Alexei Gaskarov, Bolotnaya, No Pasarán!, Political Prisoners, Russia. translated into English by the Russian Reader with an afterword by Gabriel Levy. The verdicts for the second group of defendants in the Bolotnaya Square case – brought against participants in the Russian protest movement of 2011-12 – will be announced on 18 August in Zamoskvoretsky Court in Moscow. The prosecutor has asked the court to sentence Alexander Margolin and Alexei Gaskarov to four years in prison; Ilya Gushchin to three years and three months in prison; and Elena Kokhtareva to three years and three months suspended, with four years of probation. All four defendants have been charged under Article 212 Part 2 (involvement in riots) and Article 318 Part 1 (use of non-threatening violence against a public official) of the Russian Federal Criminal Code. 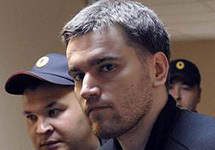 On 4 August, 28-year-old Alexei Gaskarov made his closing statement in court. This is the complete text of his speech. Posted on 21/05/2014 by Ed Sutton	in Conversations, Outrage & Agitation, Streets & Squares and tagged Anti-capitalism, Chicago, Political Prisoners, Spencer Thayer, This is Hell!, Thomas Durkin. AntiNote: This week marks two years since the NATO summit in Chicago and the large protests against it that filled an entire weekend with creative direct actions and marches (some better reported than others) and filled an entire city with militarized cops. “[Since the Battle in Seattle] we’ve seen a new period of innovation in crowd control and a new period of experimentation. Sociologists Patrick Gillham and John Noakes describe the new system as Strategic Incapacitation.